There has been a lot of talk surrounding #SAfit, the start of the new semester, and accomplishing goals set out for the new year. This leads me to think about all the goals I have laid out (especially as I plan to graduate this May, and hopefully secure a job for post-grad life) and what I have had to do to accomplish those goals. A recent post by Ann Marie Klotz had me thinking about what exactly it is that gets things done. This past weekend I was able to visit my significant other in Kansas City. 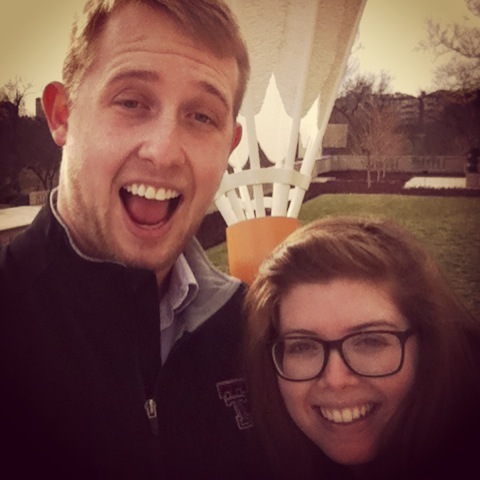 A little backstory about us – she was an ACUHO-I intern at Texas Tech this summer and I had stayed over the summer to work as an intern out of Undergraduate Admissions and work for summer conferences. We met, became friends, and started dating. Cute, crazy, and yes all within two months. We entered this relationship knowing that she would be leaving in approximately 30 days and we would have to be in a long distance relationship. We decided it could work. We could make it work. Why? Well, because we are both graduating in May, how we feel about each other (I promise I will keep the mushy down to a minimum), and because we were willing to put the hard work into it. We have made a commitment to visit one another once a month, talk on the phone when we can, and search for jobs near/within in the same city as each other. What I’ve realized is it is hard work. While it is hard work it is worth it because our goals, all of us, are worth accomplishing. Sometimes it takes some hard work, but I have a feeling that it can always be worth it. What are you working hard at currently?